In two recent posts, we discussed the “Reptile” theory of courtroom advocacy, a plaintiff lawyer’s strategy that essentially asserts that plaintiffs can win at trial if they successfully appeal to the “reptilian” portion of jurors’ brains. This portion, according to the theory, is the primitive part of the brain, the portion that humans supposedly share with reptiles. It is this portion that responds on an elemental level to fear, according to “Reptile” advocates, and jurors therefore simply need to be persuaded that they themselves are placed in danger by the defendant’s behavior and that they should return a plaintiffs’ verdict essentially to ensure their own continued safety. As we said earlier, we believe that far from presenting the latest concepts from neuroscience, the “Reptile” theory presents a laughable and amateurish set of scientific theories. In two earlier posts, we explained how to identify the “Reptile” theory in court. Here are five articles that explain, in plain English, why the theory makes absolutely no sense scientifically. These responses to the “Reptile” advocates, while they will not in and of themselves get “Reptile” concepts out of a trial, will help defense lawyers understand the true roots of the strategy – and may help convince some judges that the “Reptile” strategy, although effective, is based on bogus science. This article from The Jury Expert, a publication of the American Society of Trial Consultants, argues that “To reduce the human being to a body organ, even the brain, disregards the value of the reflective mind – something no reptile possesses. From time immemorial we have used imagination and supporting evidence in narrative to persuade. A reptile hears no human story. It reacts as a coiling rattlesnake or a slithering lizard. To equate men and women serving on a jury with reactive sub-mammals is both offensive and objectionable.” It instead recommends the use of “persuasive narrative” – the invocation of compelling stories – to influence and persuade juries. In this interview, trial consultant Stephen Hnat concludes that advocates of the “Reptile” theory confuse brain structure with brain function.” He says that although there is in fact an area of the brain labeled the “reptile brain” that controls “flight or fight” and similar responses, current research in cognitive neurobiology has consistently shown that other areas of the brain that regulate emotion are far more influential in determining perceptions and behavioral responses. This article from Courtroom Sciences Inc. says that the “Reptile” theory involves a “misuse of neuropsychology” and contends that while “Reptile” advocates have succeeded with juries, it was not because of their knowledge of brain science. The authors say that “Reptile” lawyers succeed not because of their “ability to tap into jurors’ survival instincts” but because they use “successful techniques long used by great plaintiff’s attorneys: reduce a case to its essence and rhetorically focus a case on a critical issue for jurors (e.g. safety). This article, published earlier this year for an American Bar Association Litigation Section conference [pdf], asserts that human beings “are not just flight or fight responders, they in fact process information. 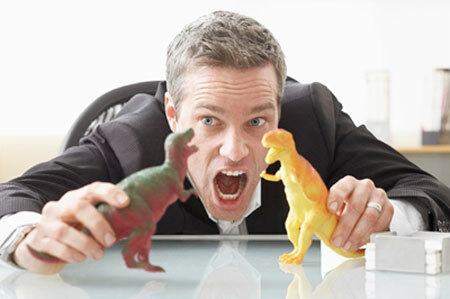 And, the fear responses that humans experience are not predictable, in part because higher level functions often intervene in fear responses.” The article notes that fear can backfire against plaintiff lawyers if jurors believe they are being treated like “reptiles.” The author says that despite its use of bad science, the theory is “here to stay,” and that defense lawyers need to understand why the theory often works with jurors. In this article, Ken Broda-Bahm asserts that in view of contemporary scientific critiques, the reptile brain theory “stands out as illustrating scientific beliefs that persist more because they are useful than because they are valid. It persists and sticks not because there is strong evidence that it is true, but because it feels ‘complete’ and has, as Stephen Colbert would put it, ‘truthiness,’ independent of its truth.” Nonetheless, Broda-Bahm asserts, the theory needs to be taken seriously. Experts agree that the science alleged to support the Reptile Trial Strategy is bogus. However, just because the reasoning behind the strategy is flawed, it does not mean that the approach doesn't work — because it does. We will discuss why the Reptile Trial Strategy works and how to counter it in upcoming parts of this series (click here to be notified of subsequent posts).